Venture out of the city with trips to Port Douglas (Safaris, Wildlife Habitat Port Douglas, & more) and Palm Cove (Hartley's Crocodile Adventures, Palm Cove Beach, & more). Spend the 14th (Mon) among aquatic life with a scuba or snorkeling tour. The adventure continues: hike along Esplanade Boardwalk, have some family-friendly fun at Cairns Kart Hire Track, admire the natural beauty at Botanical Gardens, and take an unforgettable tour with a helicopter tour. For traveler tips, maps, other places to visit, and more tourist information, use the Cairns route planner . Sydney to Cairns is an approximately 6-hour flight. You can also drive; or take a train. Prepare for somewhat warmer weather when traveling from Sydney in January: high temperatures in Cairns hover around 37°C and lows are around 28°C. Finish your sightseeing early on the 20th (Sun) so you can travel to Fraser Island. 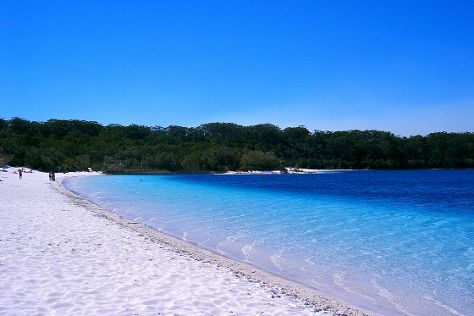 Fraser Island is known for nature, beaches, outdoors, historic sites, and spas. Your plan includes some of its best attractions: explore the activities along Lake McKenzie, kick back and relax at Eli Creek, explore and take pictures at Maheno Wreck, and stroll through Seventy-Five Mile Beach. To see photos, maps, and tourist information, use the Fraser Island day trip site . Do a combination of flight, ferry, and car from Cairns to Fraser Island in 10.5 hours. Alternatively, you can do a combination of train, car, and ferry; or do a combination of bus, ferry, and car. Traveling from Cairns in January, Fraser Island is little chillier at night with lows of 24°C. Finish your sightseeing early on the 24th (Thu) to allow enough time to travel to Brisbane. Venture out of the city with trips to Australia Zoo (in Beerwah), Caloundra (MaisyMoo & Kings Beach) and Mooloolaba Beach (in Mooloolaba). The adventure continues: let the kids burn off some steam at South Bank Parklands, get great views at Mount Coot-tha Lookout, admire the natural beauty at Roma Street Parkland, and see the interesting displays at Queensland Museum & Sciencentre. For traveler tips, reviews, more things to do, and more tourist information, use the Brisbane sightseeing planner. Do a combination of car and ferry from Fraser Island to Brisbane in 8 hours. Alternatively, you can do a combination of car, ferry, and train; or do a combination of car, ferry, and bus. 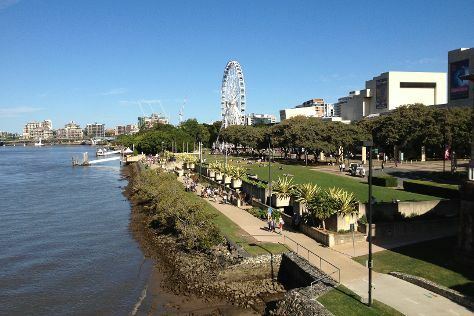 In January in Brisbane, expect temperatures between 34°C during the day and 25°C at night. Wrap up your sightseeing on the 31st (Thu) to allow time to drive to Gold Coast. 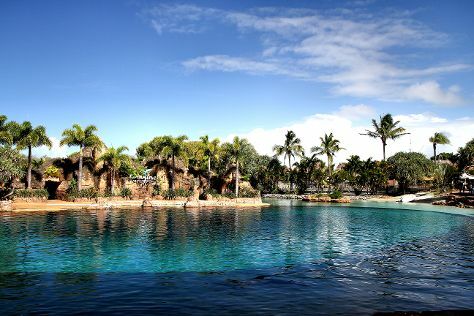 Gold Coast is known for theme parks, beaches, shopping, nightlife, and fun & games. Your plan includes some of its best attractions: laugh and play at Sea World Theme Park, kick back and relax at Coolangatta Beach, enjoy breathtaking views from SkyPoint Observation Deck, and tour the pleasant surroundings at Burleigh Heads Beach. To find other places to visit, reviews, photos, and other tourist information, you can read our Gold Coast trip itinerary maker tool . You can drive from Brisbane to Gold Coast in an hour. Other options are to take a bus; or take a train. Expect a daytime high around 33°C in January, and nighttime lows around 24°C. Cap off your sightseeing on the 6th (Wed) early enough to catcht the bus to Byron Bay. Step out of Byron Bay with an excursion to Big Prawn in Ballina--about 32 minutes away. 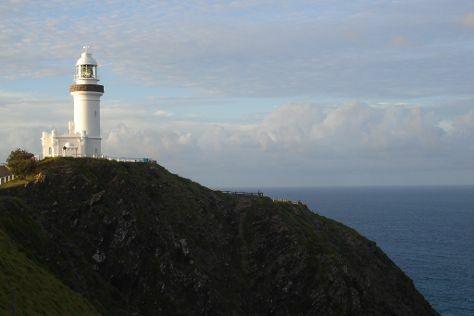 There's still lots to do: enjoy the sea views from Cape Byron Lighthouse, enjoy the sand and surf at Lennox Head Beach, gear up at Gear Rentals, and tour the pleasant surroundings at Cape Byron Walking Track. For other places to visit, maps, ratings, and more tourist information, read Byron Bay trip website . Traveling by bus from Gold Coast to Byron Bay takes an hour. Alternatively, you can drive. Expect a daytime high around 34°C in February, and nighttime lows around 21°C. Wrap up your sightseeing on the 10th (Sun) to allow time to travel to Melbourne. Get out of town with these interesting Melbourne side-trips: Werribee Open Range Zoo (in Werribee) and The Great Ocean Road (in Torquay). Dedicate the 16th (Sat) to wine at some of the top wineries in the area. There's much more to do: admire the natural beauty at Royal Botanic Gardens, see the interesting displays at Melbourne Museum, take a tour by water with Melbourne Boat Hire, and make a trip to Shrine of Remembrance. You can do a combination of bus and flight from Byron Bay to Melbourne in 5 hours. Alternatively, you can drive; or do a combination of bus and train. Traveling from Byron Bay in February, expect a bit cooler with lows of 16°C in Melbourne. Finish your sightseeing early on the 18th (Mon) so you can travel back home.